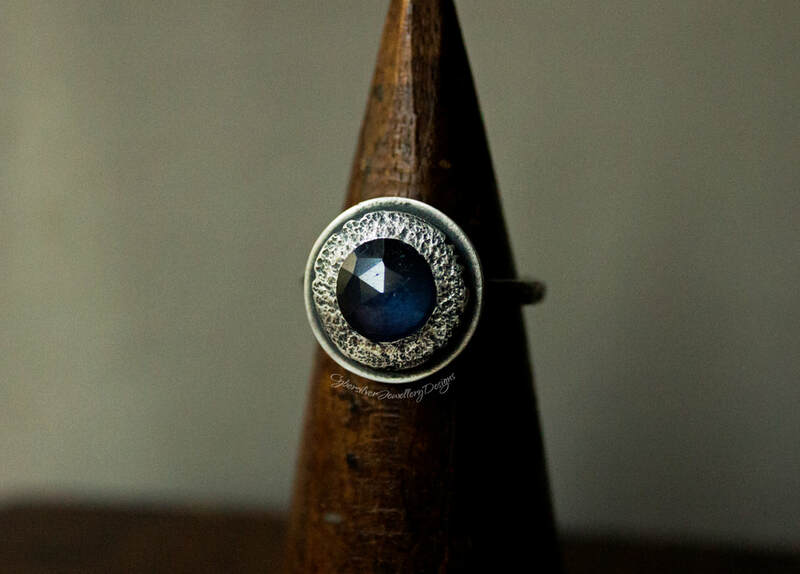 A real statement ring, this colour-enhanced blue sapphire is set in a deeply textured setting. The band is also hammered and has a really rustic feel. 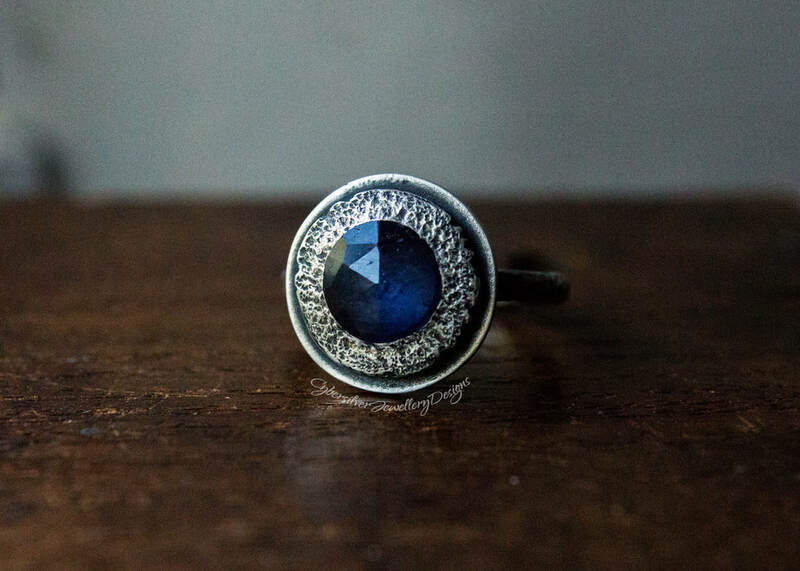 This ring is entirely handmade by me in my Oxfordshire studio and is constructed from thick sterling silver. I have oxidised the silver and lightly brushed back to highlight the details and the ring is then given a layer of special microcrystalline wax to help protect the oxidised surface. Oxidisation is a surface treatment which will continue to lighten with wear. Your ring comes gift boxed - perfect for giving. 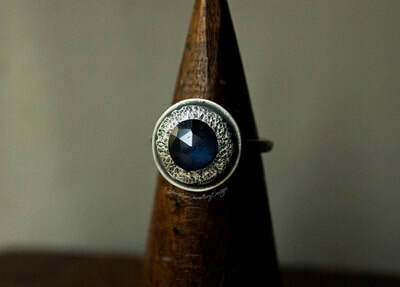 Dispatched within 5 working days - if you require your ring sooner, please message me. 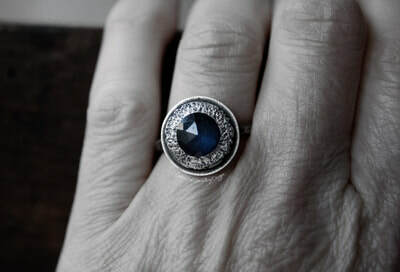 Delivery - To ensure you receive your ring safely and securely, I post Special Delivery. ​Royal Mail will not insure silver jewellery sent any other way. This is a next-day, tracked, insured and signed-for service. International orders are sent International Tracked and Signed For. I will send you your unique tracking number as soon as I have posted. Please read our information on RING SIZING before placing your order.